Objective: To assess the incidence of biotinidase deficiency among newborns and their clinical outcome up to one year of age in a large pilot screening study in Minas Gerais, Brazil. Methods: A prospective cohort study was conducted from September 2007 to June 2008 with heel-prick blood samples collected on filter paper for the purpose of newborn screening. A qualitative colorimetric test was used as the primary screening method. Colorimetric-positive cases were further tested with a serum confirmatory assay. Gene sequencing was performed for eight children suspected with biotinidase deficiency and for some of their parents. Positive cases were daily supplemented with oral biotin and were followed up for approximately six years. Results: Out of 182,891 newborns screened, 129 were suspected of having biotinidase deficiency. Partial deficiency was confirmed in seven children (one was homozygous for p.D543E) and profound deficiency in one child (homozygous p.H485Q). Thus the incidence was one in 22,861 live births (95% confidence interval 1:13,503 to 1:74,454) for profound and partial biotinidase deficiency combined. Two novel mutations were detected: p.A281V and p.E177K. In silico analysis and estimation of the enzyme activity in the children and their parents showed that p.A281V is pathogenic and p.E177K behaves like p.D444H. Conclusion: The incidence of biotinidase deficiency in newborn screening in Minas Gerais was higher than several international studies. The sample size should be larger for final conclusions. Oral daily biotin apparently precluded clinical symptoms, but it may have been unnecessary in some newborns. The authors gratefully acknowledge the technical and scientific staff of the Center for Newborn Screening and Genetic Diagnostics (Nupad/UFMG) for their involvement and logistical support. The contribution of the technologist Daniela Magalhães Nolasco was essential for the standardization of the biotinidase serum analysis. Marcos Antunes Lopes, Lívia Uliana, and their teams collaborated for the successful recall of the families for confirmatory tests. The authors also wish to thank Nupad and Fapemig for their financial support. Marcos Borato Viana received a researcher grant from CNPq (Brazilian National Council for Research). 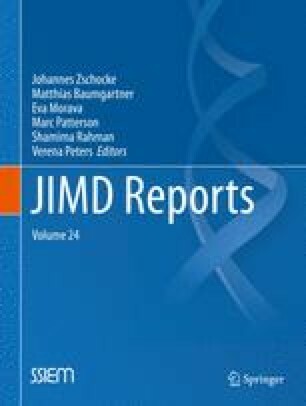 This extensive pilot study showed a high incidence (1:22,861) of biotinidase deficiency in Brazilian newborns through a three-phase laboratory procedure: a colorimetric screening test, confirmatory determination of serum biotinidase activity, and gene sequencing (two novel mutants were detected).